New York, April 1: Just one hour a week of brisk walking may prevent disability in older adults with arthritis pain, or aching or stiffness in the knee, hip, ankle or foot, a new study suggests. 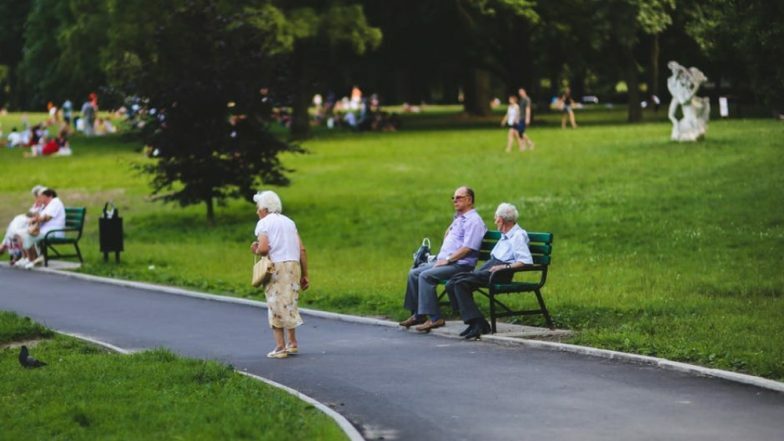 The findings suggested that an hour of weekly moderate-to-vigorous physical activity allowed older adults to maintain their ability to perform daily tasks like getting dressed or cross a street before a traffic light walk signal changed. "This is less than 10 minutes a day for people to maintain their independence. It's very doable," said lead author Dorothy Dunlop, Professor at the Northwestern University Feinberg School of Medicine in the US. "This minimum threshold may motivate inactive older adults to begin their path toward a physically active lifestyle with the wide range of health benefits promoted by physical activity," Dunlop added. Walk Faster to Live Longer and Healthier. For the study, published in the American Journal of Preventive Medicine, the researchers analyzed four years of data from more than 1,500 adults. The adults all had pain, aching or stiffness in lower extremity joints from osteoarthritis but were free of disability when they began the study. Their physical activity was monitored using accelerometers. Fitness Tips for Weight Loss: Here are Some Exercises to Work Your Whole Body. The team found that the weekly hour of exercise reduced their risk of mobility disability by 85 per cent and their risk of activities of daily living disability by almost 45 per cent. Four years after the start of the study, 24 per cent of adults who did not get the weekly hour of brisk physical activity were walking too slowly to safely cross the street, and 23 per cent reported problems performing their morning routine. "Our goal was to see what kind of activity would help people remain free of disability," the lead author said. "We hope this new public health finding will motivate an intermediate physical activity goal."